* It reminds me of the top of Bois Marocain and it projects massively. * Then the tobacco starts to show up and overpowers everything about it. Buoyed by a subtle oud, the tobacco really is the star for a lot of the fragrance’s life. * While it begins to calm down at this point (around three hours), it’s still present and projecting nicely. * The dry down to sweet amber and vanilla takes a long time and lasts even longer. 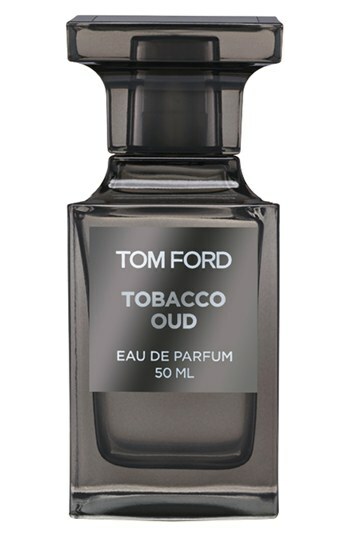 Summary: I thought I was having flashbacks when I wore this scent because like AKafkaesque I realize that each stage of the development was another Tom Ford Scent. Whereas AK sees it as a mix of Amber Absolute, Sahara Noir, Cafe Rose, and Tobacco Vanille – being the DJ that I am, Tobacco Oud feels like a wonderful mashup of Bois Marocain, Amber Absolute, and Tobacco Vanille with a touch of oud. When I first heard of Tobacco Oud, I was hoping that it would be Tobacco Vanille, plus oud. I am happier with the results as this is very oud 2.0 (oud as subtle supporting flavor, rather than an ‘oud in your face’ bomb). It feels more like a greatest hits medley (kind of like Julet Has A Gun Mad Madame, but much more well-conceived) and is far better in my opinion than anything in the last two private blend collections (Atelier D’Orient and Jardin Noir). Since I already own the three scents it reminds me of, I probably would not buy this for myself, but for anyone who is strong enough to handle a powerful long term scent (more than 12 hours of wear), this could easily be a signature. Because of the projection, it’s not office friendly, but the strength can be downplayed by wearing only one or two sprays. This is also definitely a scent that needs to be skin tested, as reading through the various reviews online, I kept scratching my head wondering if we were all spraying the same juice. What do with this Hex Hector of a mix? Sounds like a journey into scent.